Optus has launched a new ad for the new iPhone Xs which is playfully directed by Oscar-winning actor and director Cuba Gooding Jr. Following last year's Optus iPhone 8 campaign featuring Cuba Gooding Jr., the Australian telecom company has launched its hugely anticipated new commercial directed by Cuba Gooding Jr, which stars Aussie actors selected by the Oscar-winning actor. In the commercial, Cuba is seen in the director’s chair instructing the actors to look at an empty podium, “imagine” the newest mobile device available from Optus and show him what it makes them “feel”. The actors then show Cuba their honest and unscripted reactions while visualising the very latest mobile phone. In August, Cuba put a call out to Australian actors to audition for an Optus commercial and was inundated with videos from up-and-coming actors wanting to show off their talents to the budding Hollywood director. Thirty people, selected from everyday Aussies who had submitted videos and some trained actors, were chosen to audition, with the process filmed in a reality-television style from beginning to end. The actors had no idea the audition would turn out to be the commercial, and so their reactions were genuine, unfiltered and captured in one take. “At Optus, we like to challenge the status quo and with this commercial we did that. We placed up-and-coming Aussie actors in front of a Hollywood director to capture their genuine reactions in an unscripted and spontaneous reality-television style commercial, which is a really innovative concept for a marketing campaign,” Mrs Hopkins said. The campaign was created by Emotive, one of Optus’ creative partners. 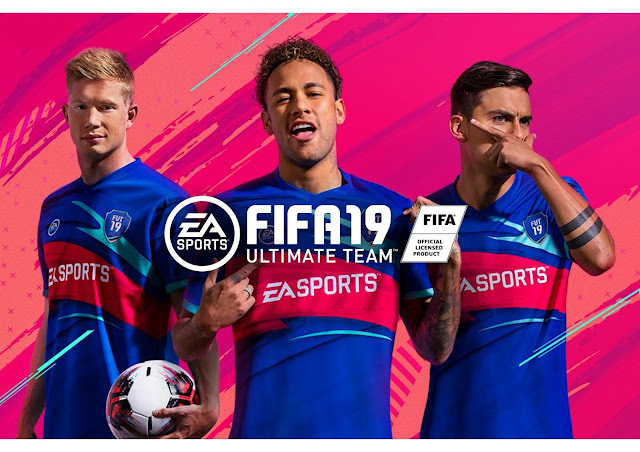 In the next phase of promotion for the highly-anticipated FIFA 19 game, footballers De Bruyne and Dybala star in a print campaign and gaming assets for the new video game. Media Agency, Lagardère partnered with high-end sport and athlete photographer Rafael Astorga and LS Productions for the FIFA Ultimate Team shoot. “We set up the studio and arranged body doubles of the footballers to do the pre-light run-throughs before the talent arrived, allowing us to be most efficient on the day. We also had the athlete’s trainers and coaches on-set to ensure they were comfortable to perform, and, of course, their preferred music to create a brilliant atmosphere!” says Abi. 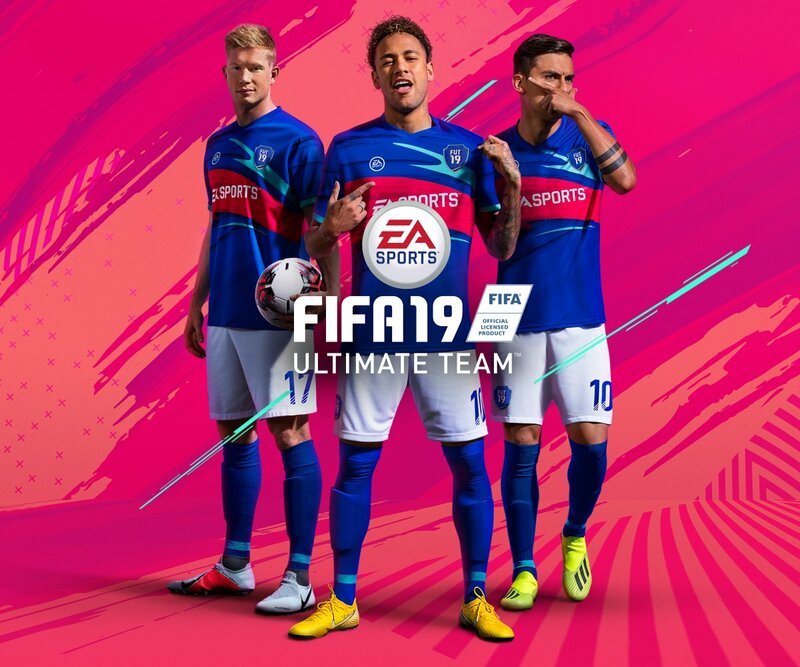 On working with LS Productions, Andy Gilooley, Video Producer at EA Sports, says: "Great service, very professional, wonderful people." “Team was lovely, flexible and experienced!" says Melissa MacGillivray, Executive Producer at Rafael Astorga Photographer. LS Productions is a UK-wide service production company that goes beyond service. They understand the creative, working collaboratively with a unique in-house locations team and database on hand to produce shoots for TV commercials, music videos, online content, fashion campaigns and editorials. Recent clients include: Anomaly, Anonymous Content, Czar, Ford, GQ, Harper’s Bazaar, H&M, Johnnie Walker, Samsung, Strange Cargo, Stella McCartney, Stink Paris, Somesuch, British Vogue and Volvo. 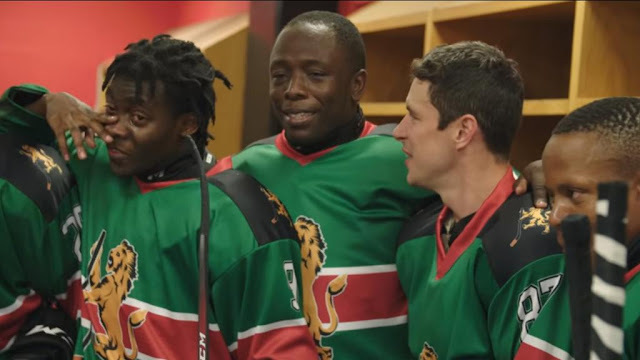 Moved by their love for Canada’s favourite sport, Tim Hortons flew 12 members of the senior Ice Lions team to Canada to have the opportunity to finally play their first game ever against another team. After dressing in brand new CCM hockey equipment and personalized jerseys, they discovered they were in for an even bigger surprise: hockey superstars Sidney Crosby and Nathan MacKinnon were joining them on the ice as teammates. McDonald’s Great Tastes of the World Campaign by Leo Burnett London from Adstasher on Vimeo. McDonald’s is backing the return of its Great Tastes of the World menu with an extensive new ad campaign created by Leo Burnett London. In the new television spot, a group of Brits clad in summer walking gear are preparing to scale a verdant mountain in the Swiss Alps. Before they can, however, the weather closes in and they are left shivering in an ice cave. The voiceover says ‘Sometimes a taste is all you need’ – the strapline associated with McDonald’s Great Tastes of the World. We then see a close-up shot of the McDonald’s rich and creamy Swiss stack looking delicious with its smoky bacon and emmental cheese sauce. The ad follows a spot promoting the French-inspired burger in which Lycra-clad Brits attempting - and failing - to tackle the Pyrenees on their high-end racing bikes are cheerily passed by a local Frenchman effortlessly scaling the hill on his traditional push bike. Two further television ads will follow promoting Brazil and Jamaica-inspired menu items, along with radio spots, social activity, press, digital and out-of-home advertising. In each, a similar theme is followed with holiday optimism quickly turning out to be misplaced. Each country-themed burst runs for two weeks, making eight weeks in total for the campaign. The Switzerland ad breaks on October 10. Michelle Graham-Clare, McDonald’s Head of Marketing, Food and Beverages, said: “With Great Tastes of the World comes the opportunity to give our customers a taste of adventure, and following on from last year, this suite of ads does exactly that! We’re encouraging our customers to try something a little bit different, with four tasty burgers all inspired by countries from around the world. 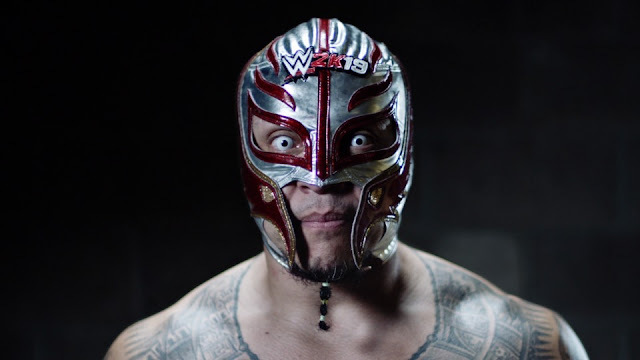 Advertising agency barrettSF concludes its multimedia marketing campaign with a video showcasing prolific WWE Superstars to launch this year’s release in the popular WWE 2K video game franchise. WWE 2K19 released October 9 for the PlayStation4 computer entertainment system, Xbox One family of devices including the Xbox One X, and Windows PC. The theme of the campaign – “Never Say Never” – is brought to life in the ad through the backstories of the featured WWE Superstars, highlighting their improbable individual journeys to WWE stardom. The commercial is the last in a series of four, all of which are tied together with the “Never Say Never” theme. The prior three ads showcased WWE Superstars “Rowdy” Ronda Rousey and Daniel Bryan, as well as former WWE Champion Rey Mysterio. But, in this final chapter of the campaign, a broad array of WWE Superstars are on prominent display. From an unlikely ascension of the shorter-statured Rey Mysterio in a land of giants, to former reality star The Miz’s crossover success, to the redemption story of WWE 2K19 cover Superstar AJ Styles, the campaign highlights how each WWE Superstar overcame the odds in visually distinctive ways. 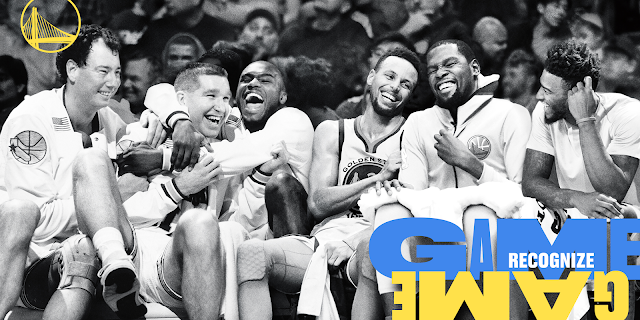 The ad broke on October 1 and will air globally on broadcast, as well as on a variety of digital and social platforms.